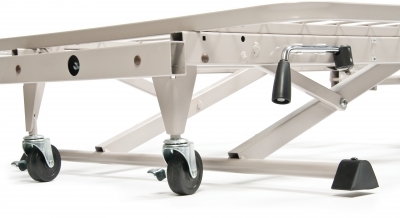 Designed and engineered by the same team who develop the GF Long Term Care beds.Sleep surface is MADE IN THE USA! 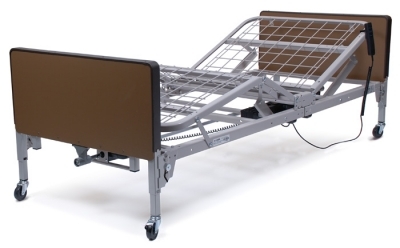 The single-motor design homecare bed is now available in a full-electric/low version. 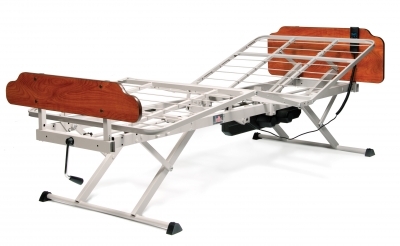 The Patriot Full-Electric Homecare Bed offers the same features as the Patriot Semi-Electric Homecare Bed with the additional feature of electric height adjustment. ✦Total assembled bed weighs only 178 pounds (bed and motor). ✦Powerful DC motor for effortless height adjustment. 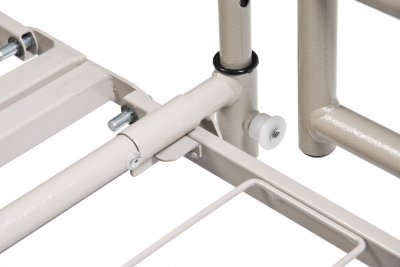 ✦Hi-Lo motor comes pre-installed on foot section for easy set-up and disassembly. ✦All functions fully-integrated into convenient handheld pendant. 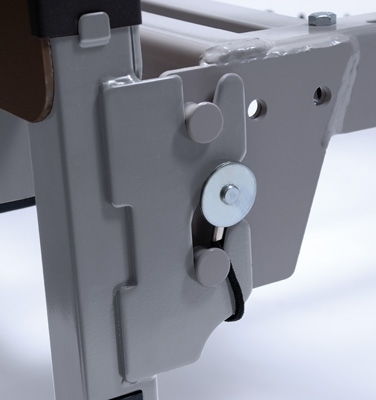 ✦Welded motor-guard protects motor and universal joint from damage during shipment and deliveries. ✦Available with Fiberboard Decorative Walnut Bed-ends or High-impact Plastic Bed-ends. ✦Designed to meet the requirements of applicable HCPCS codes. ✦Maximum patient weight 350 lbs. 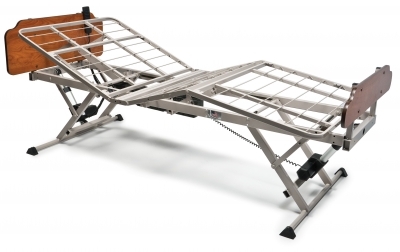 ✦450 lb evenly distributed total weight capacity including patient, mattress, rails, and accessories. ✦Overall Bed Size: 87" L x 36" W.
✦Lift Range: Head - 60Â°, Knee - 30Â°. ✦No spring sag or bottoming out with heavier patients. ✦No connecting links or springs to lose. Two year warranty for defects in workmanship and materials of mechanical components, frame, and electronics. During the warranty period, defective items will be repaired or replaced at manufacturerâ€™s option. 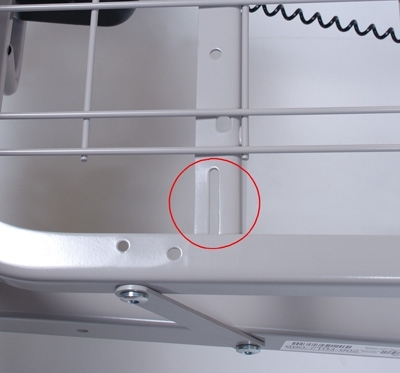 The warranty does not include any labor charges incurred in replacement part(s) installation or any associated freight or shipping charges to the manufacturer. ✦Head section and Hi/Lo rod. ✦The motor unit and bed design provide the ultimate in quiet, smooth operation. ✦Complete welded steel frame construction. ✦Assembles easily with just five components. ✦Total bed weight assembled: 166 lb (bed and motor only). ✦Bed Height: Min. 15", Max. 24" (at deck level). 4" extension kit can be installed on head, foot or both to extend bed length to 84" or 88"
What Does 54 Years of Experience Mean to You? The RIGHT Graham Field Homecare Beds.